Self Care – How To Weave It Into The Working Day. Posted on 20/11/2018 | by Leigh | Leave a Comment on Self Care – How To Weave It Into The Working Day. Today we’re talking why self-care is not just for after work and the weekends. Self care, most simply, is the act of looking after your own mental and physical health. It means different things to different people, and everyone practises self care differently. Today on the blog, we’re looking at how you can incorporate self care into your working day and why you should. Go outside on your breaks. Going outside is an instant mood booster. Fresh air is never a bad thing! If you work somewhere where you don’t leave your office all day, make an effort to go outside on your coffee breaks and on your lunch break. Alone, or with colleagues, get outside and take in some fresh air. Why not walk around the block or eat your lunch outside? This is a great idea especially in the winter months where there is less day light. Vitamin D (when the sun is out) and fresh air are natural mood boosters – what’s not to love? If your jobs requires you to sit down all day, you need to take time to stretch. Muscles that aren’t used, weaken and can seize if you’re working in a still, uncomfortable position for extended periods of time. Every time you stand up to get away from your desk, stretch out your muscles. Being continuously uncomfortable can lead to strain injuries. Do your muscles a favour and make sure to keep moving and keep stretching! 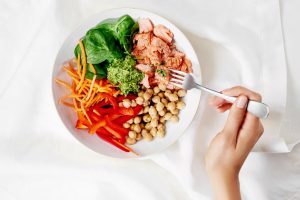 Practice self care at work by eating well. Eating well is the simplest form of self care. It can be hard to eat well at work. Maybe your boss has ordered in Pizza for everyone on a Friday, or someone has brought in home baking. Maybe clients have dropped in chocolates as a thank you. It can be so tempting! Make sure to balance the treats with healthy meals at work. 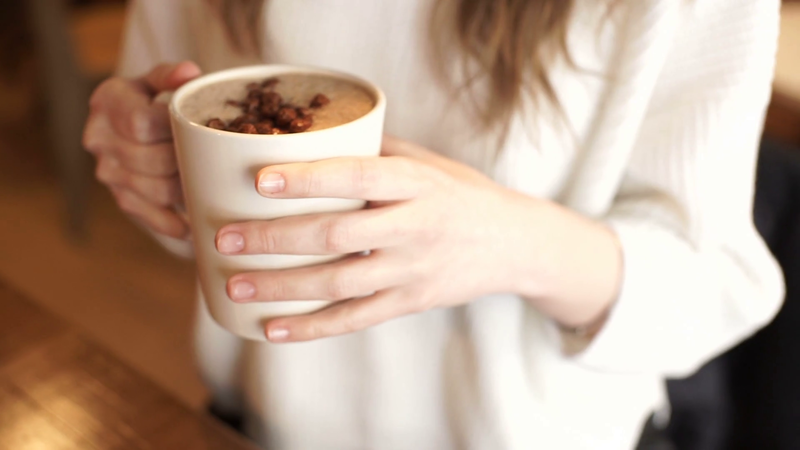 We don’t want you to hit the 3pm sugar slump. A body that has proper nourishment from good healthy foods is more productive and can concentrate better. Make your working environment as comfortable as possible. There is nothing worse than feeling uncomfortable at work. If you need a new desk or a new chair, ask. Do you think you would prefer a standing work station? ask for that too. If you work somewhere that is too dark, too bright, too warm or too cold, it can only make your job much harder. Ask if you can move your desk. It’s also a nice idea to make your working environment an extension of you, give it a personal touch. Decorate it if you are allowed to. Add pictures, a reed diffuser or stationary that you enjoy using. Make sure your desk stays clean and tidy too – tidy workspace, tidy mind. Self-care isn’t just for afterwork and weekends. We need to make sure we are looking after our bodies while we’re at work too. After all, we spend most of our time there! Do you practice any self-care at work? What are your favourite things to do to ensure mind and body wellness at work? Let us know! The Four Day Work Week Is Good For Business – Here’s why. 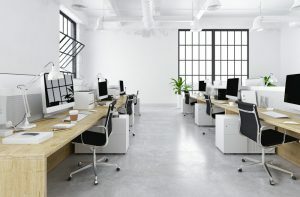 Posted on 13/11/2018 | by Leigh | Leave a Comment on The Four Day Work Week Is Good For Business – Here’s why. The Four Day Work Week has been risen in popularity over the past few months. More and more organisations are trialling the new working pattern and going on to fully adopt it. But why has it become so popular all of a sudden? Gone are the days of a Monday-Friday 9-5. Today we’re chatting all things four day work week and why it is a positive thing for business. What is a four day work week? why is it so popular nowadays? Instead of working Monday to Friday, 9-5, staff are now able to work only four days in the working week. More often than not, the staff members are allowed to choose the day that they don’t work. It’s no surprise that a recent survey showed that Friday is the most popular day to take off, closely followed by Mondays (who doesn’t love a long weekend?). The Four Day Work Week is not a new concept, with many businesses in other European countries having already adopted it. 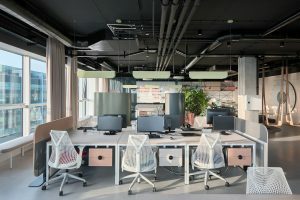 It’s becoming more popular because it has seen increased morale among staff and higher levels of productivity than in a full 5-day work week. It also promotes better work-life balance as employees are able to spend more time at home. At the minute, it might seem like a bit of a craze that it sweeping across the world, but could this be the new way of working? Why the Four Day Work Week Is Good For Business. 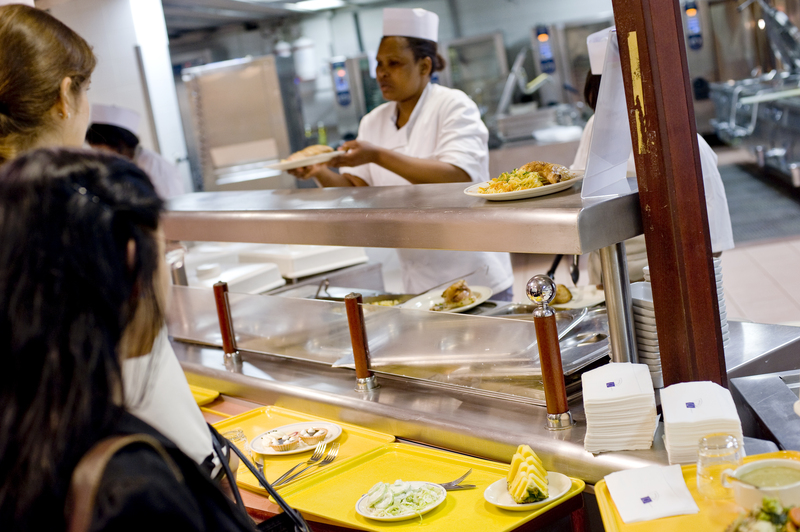 What are the benefits to members of staff? The same level of pay despite working a day less. Being more productive and seeing goals being achieved in shorter lengths of time. The flexible working pattern can suit lifestyle requirements (e.g. childcare). Choice of which day of the week you would like to have off. Sounds great – can there even be any drawbacks to working 1 less day? As much as the 4-day work week sounds great, in some cases it isn’t possible. In organisations that are over-worked, a four day work week could do more harm than good. If you’re working a job doing the work of two people, trying to do that in one less day is going to be impossible. From an organisational perspective, people management can also become harder. Monitoring who is working when, and navigating days off around mandatory working events such as staff meetings could become challenging too. What do you think of the 4-day working week? 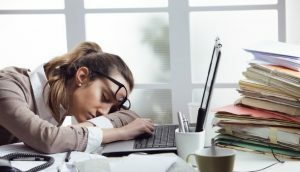 Is the four day working week good for business? We think so. What do you think? Is it something that you’d like to see integrated in your workplace? let us know in the comments below! Posted on 29/10/2018 | by Leigh | Leave a Comment on The Most Sought After Work Perks In The UK. Know someone who loves their job, never has a bad day at work, and always looks forward to their working week? You can be like that too. It might seem a little mind-blowing, we know. Loving your job might be an alien concept to some people. If you’ve been plodding along in your job for a good while, it might seem impossible to actually look forward to going to work. Today on the Blue Glove Jobs Blog, we are sharing our secrets to being happy at work. Create a workspace that you love. If you’ve got the luxury of your own dedicated desk, make it your own. A pen pot with some nice stationery, a photo frame with a motivational quote or some pictures of your family, a potted plant. Whatever decorative pieces you like, take them into the office and decorate your desk. Another idea may be to move your desk around and maybe put it in front of the window for a change? 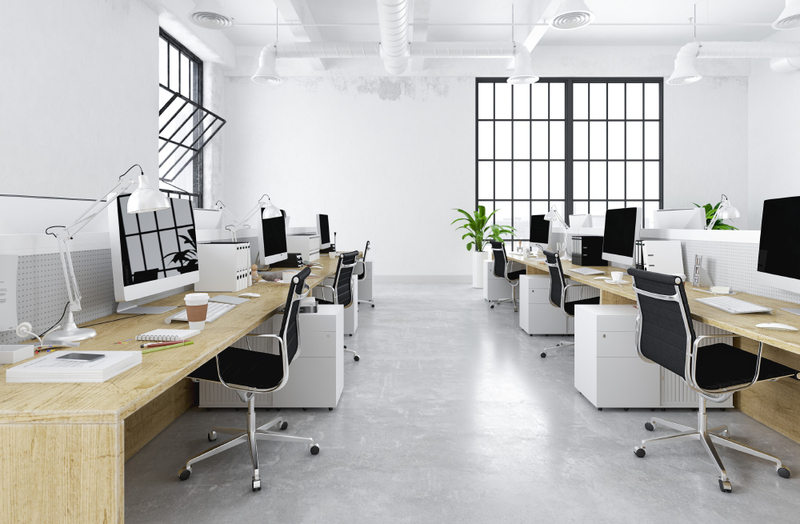 Studies have shown that a comfortable and welcoming workspace boost productivity and morale. Give it a go and see how you feel! Work on that work life balance. The secret to being happy at work lies in the hands of your work-life balance. We’ve written a bunch of posts on ‘work-life balance’ before and we are big advocators of everyone manifesting a healthy work-life balance, no matter what stage you’re at in your career. When your work-life starts to take over your home-life, take a step back and re-address the boundaries. You shouldn’t be answering e-mails or calls once you’ve left the office. You shouldn’t be spending your weekends working on projects at home . It’s easy to understand why someone with a poor work-life balance doesn’t feel happy at work. Work time is work time. You have a life outside of work, too. Make sure you live it! A secret to being happy at work is to keep on learning. It’s easy to get bored of the day in day out activities. You can often feel like you’re going round in circles. Learning something new is the best way to keep your mind busy and to keep yourself interested in your job. So why not ask to help out on a new project, or ask if you can help out on some different tasks? Change is good, and you’re never too old to learn something new. Everyday comes with a new set of challenges. Sometimes these can become frustrating but instead of getting annoyed, learn to enjoy the ride and take everything with a pinch of salt. One way to do this is to practice being present and living in the moment, rather than getting caught up in the stresses of the past or future. Why not give it a try! Why not implement some of our top tips to see if they can improve your mood and help you feel more happy to be at work! If you’re still not quite there, don’t worry. There are plenty of vacancies on our website up for grabs! Check the picture below to find a job that makes you happy! Feel under pressure at work? Don’t worry, it’s not just you. Across the board, workers are feeling the pressure. New studies have shown that the UK workforce is working harder than ever but productivity has started to flatline. Today on the blog we’re looking at the reasons why we’re now under more pressure than ever at work, including poor resources and the evil necessary of technology. 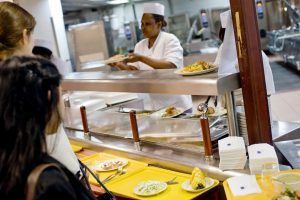 The Skills & Employment survey, a joint project between Cardiff University, University College London and The University of Oxford recently discovered that UK staff are now working harder than ever before. They are working harder and faster, with more and more workers heading home exhausted and worn out. The study paints the UK workforce in a good and bad light. It shows that we are committed, hardworking and determined. It also highlights that UK workers have less control in the workplace and that people are less anxious about losing their jobs than in previous years. Working Hard But Standing Still. We might be working harder, but the study shows that we’re still “standing still”. But what does that actually mean? Well, we might be working harder, but we don’t have the equipment or skills to become more efficient at what we do to alleviate the pressure. 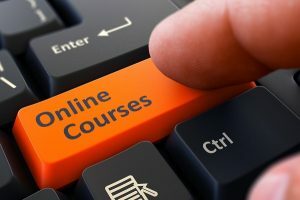 Think about it, have you ever asked your boss about upgrading your computers that always crash, or upgrading your internet that lags everyday? Got till systems that breakdown frequently? That’s exactly what we mean by standing still. You might be working hard, but your work environment and equipment is holding you back. Feel under pressure outside of the workplace. Technology has been described as a necessary evil. Could you imagine a workplace where you couldn’t communicate via email. You had to make all calls from a land line and text messages and video conferencing still didn’t exist? We dread to think what it would be like. As more and more technologies have been introduced to the workplace over the past 30 years or so, it’s becoming hard and harder for us to become uncontactable. You’re getting E-mails right before you go to bed, you get work text messages as you sit down to eat your dinner. It’s making workers feel like they’re unable to switch off because they feel under pressure to respond instantly. We’ve written about ‘switching off’ and the importance of work-life balance here if you want to know more. Do you feel under-pressure at work? How do you cope with it? Let us know in the comments or hit us up with your thoughts on social media! We’d love to hear from you! 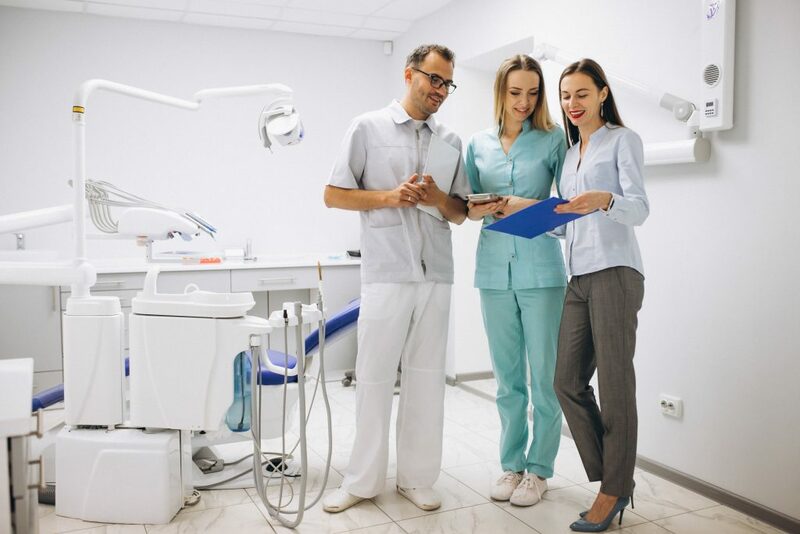 Dental Associate Interviews: An Ultimate Preparation Guide: Written with experienced dental practice owners and dental associates. 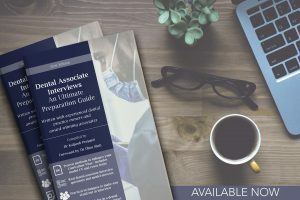 “Dental Associate Interviews: An Ultimate Preparation Guide: Written with experienced dental practice owners and dental associates” is a brand new, innovative book compiled by Dr. Kalpesh Prajapat with a foreward by Dr. Dhru Shah. A factual and up-to-date resource for associate dentists. 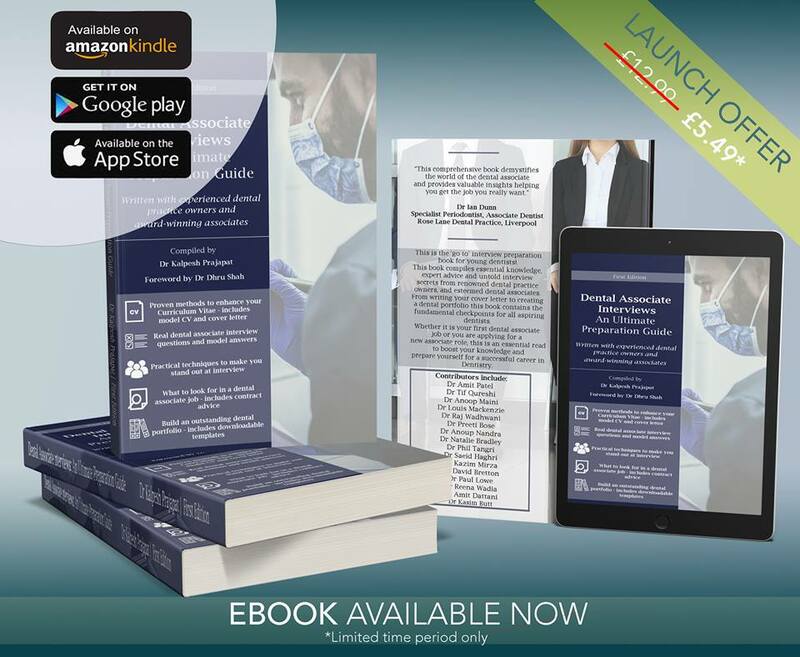 This brilliant book is written for associate dentists, by practice owners and experienced associates. This means that you get the inside scoop on what practice-life is like, putting you one step ahead of the game. But this is much more than just a book. 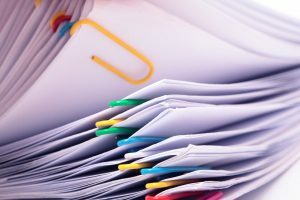 Tips on understanding your dental associate contract- what does it all really mean? A great book for all dental professionals. This book is a great addition for any new dentist. It would also be a useful resource for all dental professionals. So whether you’re completely new to the industry or have been practicing for many years, this book makes for an interesting read. Are you looking to take the next step in their career, enhance your CV and portfolio? Maybe you’re looking to improve interview and application techniques. If so, this book is for you. 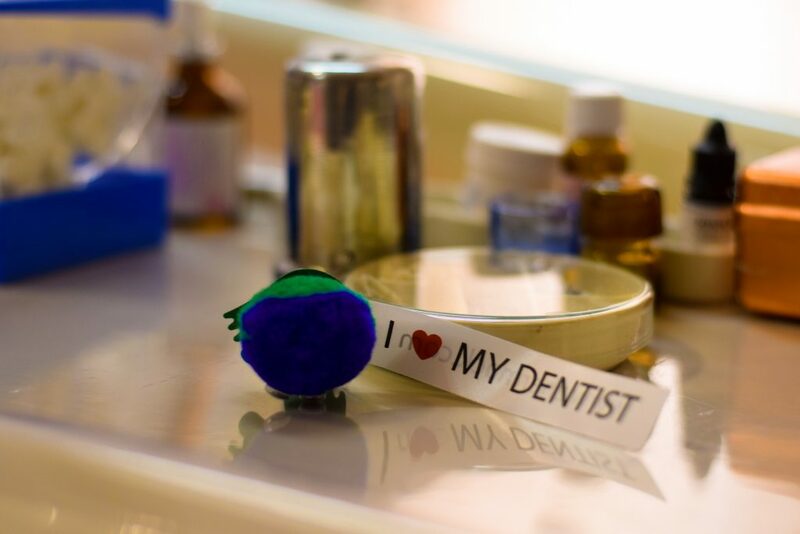 It’s a great all-rounder for anyone looking to have a successful career in dentistry! Where can you get your hands on a copy? “Dental Associate Interviews: An Ultimate Preparation Guide” is available directly from Amazon. It is a digital download, making it perfect for those of you with a Kindle, or who have the Amazon Kindle app on your smartphone or tablet. Great for on the go and handy to reference at any time! This book will be available as a paperback in the near future – keep an eye out for that! You can purchase your copy at an introductory price of just £5.49 by clicking here. Ever feel like you’re dragging your heels at work? Lack of motivation can make a job a lot tougher, even if it is a job you like. Everyone has bad days. 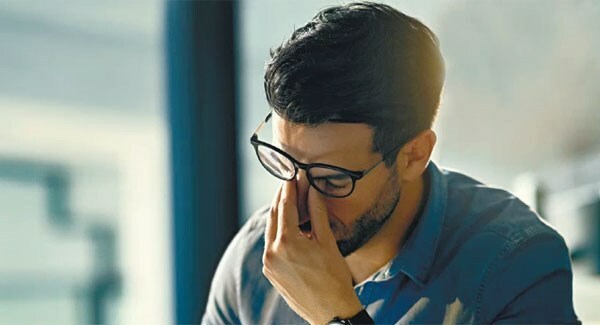 But if you’re dreading heading in to work because you’re unmotivated, the bad days become more frequent than you’d like. 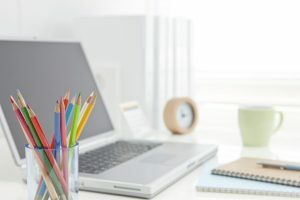 Today on the blog, we’re talking about the top three motivation boosters that can help you feel more positive in the workplace and help you get the work done. Music helps you to focus and keep you motivated. Whether Beyoncé is your jam or you prefer a bit of radio 2, music helps to keep your mind concentrating on the task at hand. Focusing on your favourite song can help you power through a boring, mundane task. Why not have your favourite radio station on in the background while trying to get your tasks completed? Time will fly by when you have a distraction in the background. Really struggling to stay motivated? Many studies have shown that classical music can help your brain focus, even in times of high pressure or stress. So why not check out Beethoven, Bach or Mozart? We know it might not be your usual listening, but try it for yourself and see. You might just end up having some classical tunes in your recommendations on Spotify! Does anyone fancy a night out? It can be really hard to stay motivated if you and your team are working week in week out. ‘Does anyone fancy a night out? !’ can change the mood of an entire room. 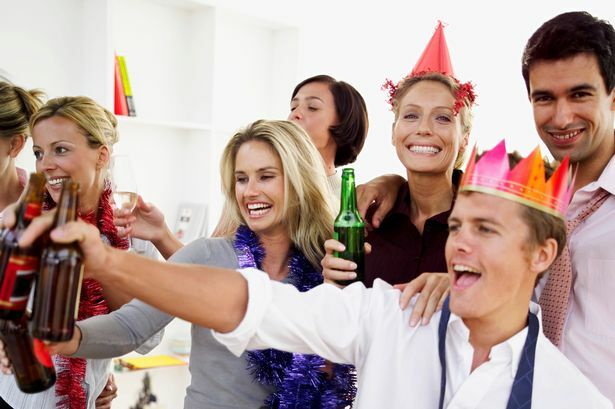 It doesn’t have to be a formal, organised night out such as the office Christmas party. A few drinks on a Friday straight from work can really lift the mood of the team. It gives you something to talk about in the office the following week and gives everyone a bit of motivation. It’s something to look forward too! Think of a night out as a well done for all of your hard work and a chance to let your hair down a bit! Break things down and make them achievable. We become unmotivated because we feel overwhelmed by tasks. We look at our to-do lists and think ‘wow, there’s no way I’ll be able to get that finished’. We’ve all been there. It is a good idea to spend time breaking down the bigger tasks. In doing so, you’ll be able to prioritise tasks and manage your time effectively. Things often seem more achievable when we take time to cut them up into smaller, more manageable chunks. Stop putting off your big tasks, and see how much you can achieve when you take them step by step! When you feel like you’re able to achieve something, you’re going to be more motivated to actually attempt the task at hand. If you go in with a mindset of failure or ‘it’s too difficult’ it’s no wonder your feel unmotivated! Do you have any tips for boosting motivation at work? What are they? We’d love to hear them! Let us know in the comments or why not contact us on social media to let us know! 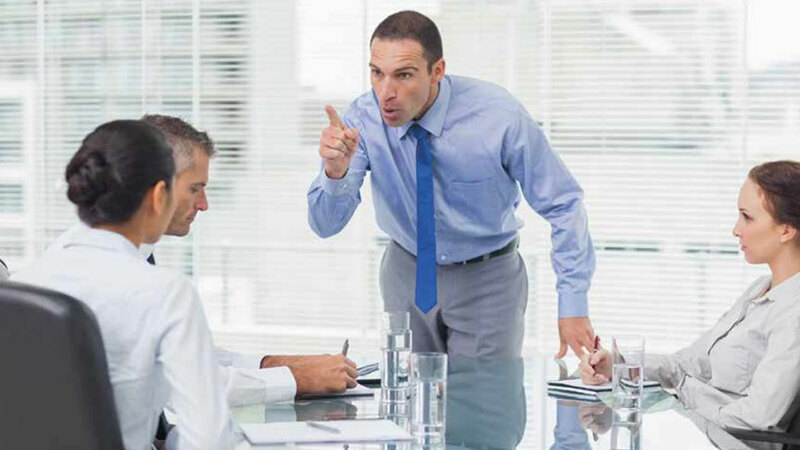 Is Your Boss Getting Too Bossy? Here’s What You Can Do About It. Posted on 13/08/2018 | by Marcus | Leave a Comment on Is Your Boss Getting Too Bossy? Here’s What You Can Do About It. Is your boss getting too big for their boots? 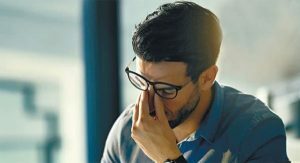 If you’ve ever been consistently bossed around and pressured by a boss or colleague, you know that the psychological and emotional damage can often be challenging to overcome. Today on the Blue Glove Jobs blog, we’re looking at how to tell if your boss is becoming too bossy. We’re also talking about what you can do about it. There is a difference between being the the boss and being downright bossy. That’s one thing to remember. Being in charge and bossing people around to the point where they feel uncomfortable are two very different things. Sadly and more often than not, many employers who are in a position of power, let their job title run away with them. They let the title of ‘director’ or ‘manager’ go to their head. Unfortunately, this can lead to them going off on a power trip, and not realising how it can negatively affect other members of staff. Being in charge means that you are responsible for either a part of, or all of the business, it’s staff and it’s actions. If you are bossy, it means than you are probably running around demanding instead of delegating and expecting instead of encouraging. 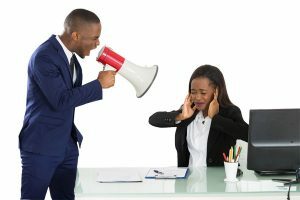 Being too bossy towards staff can often make staff members feel as though they are being bullied. How can I tell if my boss is bossing me around? They always expect things to be completed quickly, even things that take a lot of time. They are always adding things to your to-do list without communicating with you first to determine your existing workload. You are expected to complete tasks that you do not know how to complete. Your boss does not speak to you with respect – often talks at you or down to you. Your work is not appreciated, no matter how much effort you put in. You and your colleagues feel like your boss is unapproachable. You feel pressured to stick around after hours to make sure all tasks are completed. What can I do if I feel like my boss is bossing me around? If this is occurring on a regular basis, it will become a problem. In this instance, it can be hard to approach your boss about their behaviour and this can be even more challenging if there is nobody above them. It is easy to think it might be easier to cut your losses and leave. This can also be hard in a future job interview to explain why you left a job because of these circumstances. It might be an idea to collectively approach the subject. Speak to a few other staff members. Ask if any of them are willing to approach the situation with you. If you feel uncomfortable doing this, or have done this, it might be an idea to get a trade union involved. A trade union is an organisation with members who are usually workers or employees. It looks after their interests at work by doing things like negotiating agreements with employers and settling disputes. Often, a trade union rep can act as a mediator between the employees and the employer. If you want more information about Trade Unions, and how to join one, check out the UNISON website. Do you struggle to finish your daily tasks at work? Maybe you’re overwhelmed with the amount of tasks you have to do. Maybe you only like doing the tasks you enjoy! Being productive at work is vital. It keeps your boss happy, and it prevents tasks rolling into the following day’s/week’s work. And, we totally understand that it can sometimes be hard to remain motivated at work. So today, we’ve decided to talk about our top three things that will make you more productive at work. This is not a new concept. Based on an idea in the book ‘Getting Things Done: The Art of Stress Free Productivity‘ by David Allen, the Five Minute Rule has been adapted from Allen’s Two Minute Rule. Simply, if a task will take you less than five minutes to complete, do it now. If it will take less than five minutes, it doesn’t need to go on a to-do list. If there’s an email you need to send or a phone call you need to make, do it, instead of putting it on your to do list. It sounds simple and obvious, but try it for a couple of days and you’ll see what a difference it makes. Little tasks at work like printing something, mailing something or making a call can mount up. Get them out of the way with the five minute rule! The Pomodoro Technique ensures you are able focus on tasks and tackle them in manageable chunks. With the Pomodoro Technique, you set a timer – ideally 25/30 minutes – and for that period of time, you focus on only ONE task. After the 25 minutes have passed, you take a 5 minute break away from the task. This method of interval tasking ensures distractions are limited and makes tasks more manageable. If you find it hard to concentrate, this is definitely one to try. Make sure you consider your break times at work when planning on using the Pomodoro technique! Try and work your day around your 25/30 minute chunks and see a difference in the levels of your productivity. If you’re feeling overwhelmed, ask for help. Your work might be piling up, while your colleagues might be slipping off for an extra tea break here or there because they’ve finished their tasks. Ask for help so that you can get through the work together, don’t ask for help so that you can land the jobs you don’t want to do on to others. If this is a continuous problem, speak to your manager and discuss your work load. If your workload is too vast, it is no wonder that you are feeling unproductive. What do you do at work if you’re feeling like you’re not being productive? Have you got any top tips you can share with our readers? Let us know!